You know the scenario, you have the noisy journey to work, the long flight with the rubbish airline headphones, the busy office or just relaxation. With noise cancelling headphones they can help to block out the world around you. 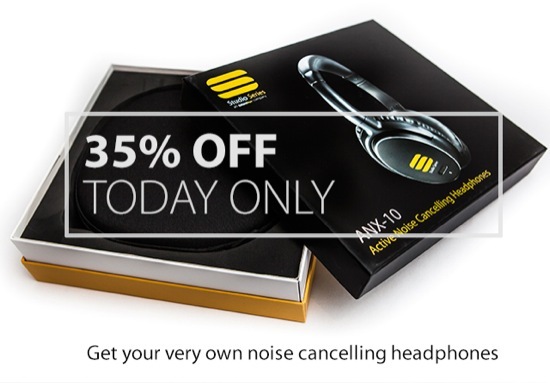 For today only our friends at Editors Keys are offering 35% off their Studio Series ANX10 noise cancelling headphones if you use the discount code NOMORENOISE during checkout, but you must buy them today to take advantage of the 35% discount.